LinkedIn is constantly changing their features and functionality to the point where new and old users lose sight of LinkedIn’s value. 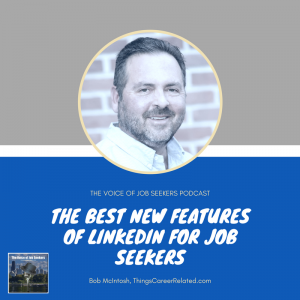 Bob McIntosh is a purveyor of all things LinkedIn for job seekers. 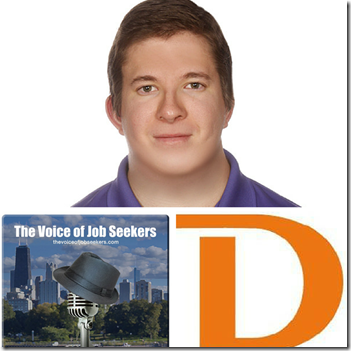 He is my guest as discuss what features are best for job seekers, and a couple of features not so much. Filtering of information, seeing the connections of connections, possibly using the searched connections to meet new people. If you’re able to film yourself and have the right equipment to provide quality. If they have practiced their 30-second commercial (or elevator speech) the value the person offers could shine through. The easy apply makes it easier to apply for jobs. The user’s LinkedIn profile is sent. The connections you have in common with the recruiter could work in the user’s favor. Although you may not use your specific title, you can find your value in the market. 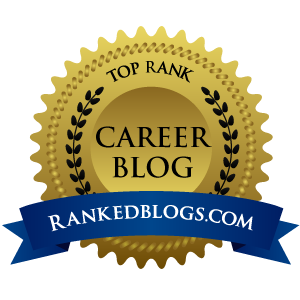 You still want to use the prolific salary guides (Salary.com, PayScale, Glassdoor). Bob thought this was useful but tempts users to become lazy and use it like a text. Remember when you’ree communicating with an employer. The constant change sometimes confuses the users but you can get an idea who is viewing your profile. 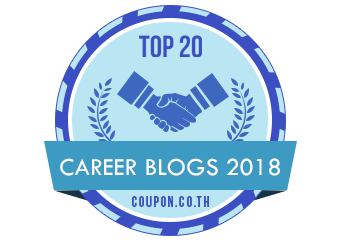 Among the people who have disengaged themselves from the job search, I have decided to talk about the differently-abled who wait very late in life to find jobs. 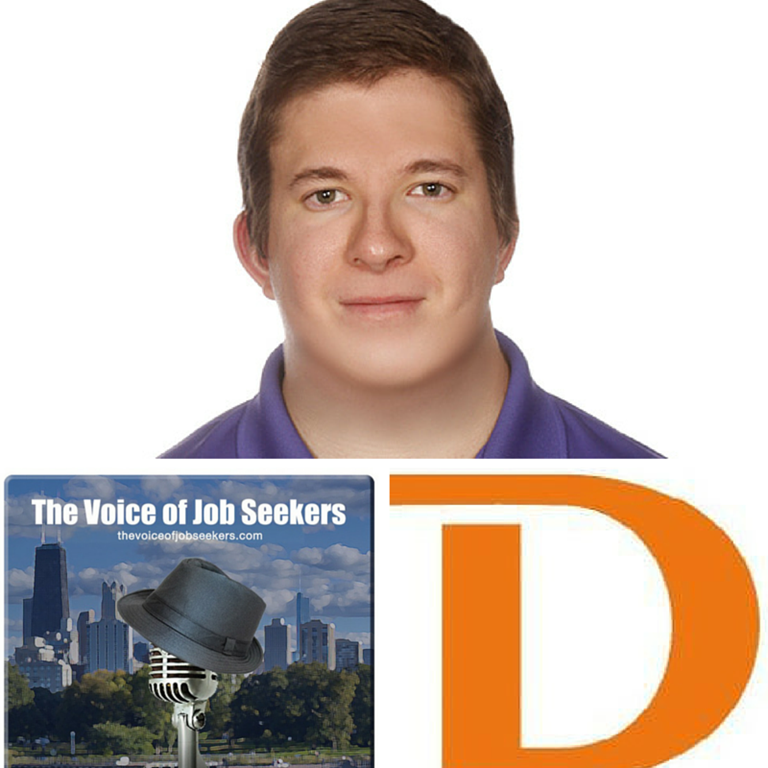 Dylan Rafaty (@DYLANRAFATY), founder of DylanListed, LLC (DylanListed.com) and I engaged in a lengthy conversation with so much value, I consider this a special episode and one of the most important. You can do this on your phone, right now, if you want. All of this is set up so you’ll have the most convenient access possible. Let me tell you more about Dylan Rafaty. Dylan was inspired by Angies List to create an on and offline site of resources to help job seekers become more employable and find jobs. He also trains companies from how to find differently-abled job seekers, how to provide training for them, and creating a culture for them to thrive. He is very active in the community and is an enthusiastic advocate in educating and promoting job seekers who are challenged with disabilities. Are they really embracing inclusion, not just diversity? We talk about the support that Dylan has in running his company. His mother is Chief Operating Officer, and his father who owns one of the largest ice cream vendor companies in the country (400 employees), and his brother who is completing his Ph.D. at Cambridge University in London. 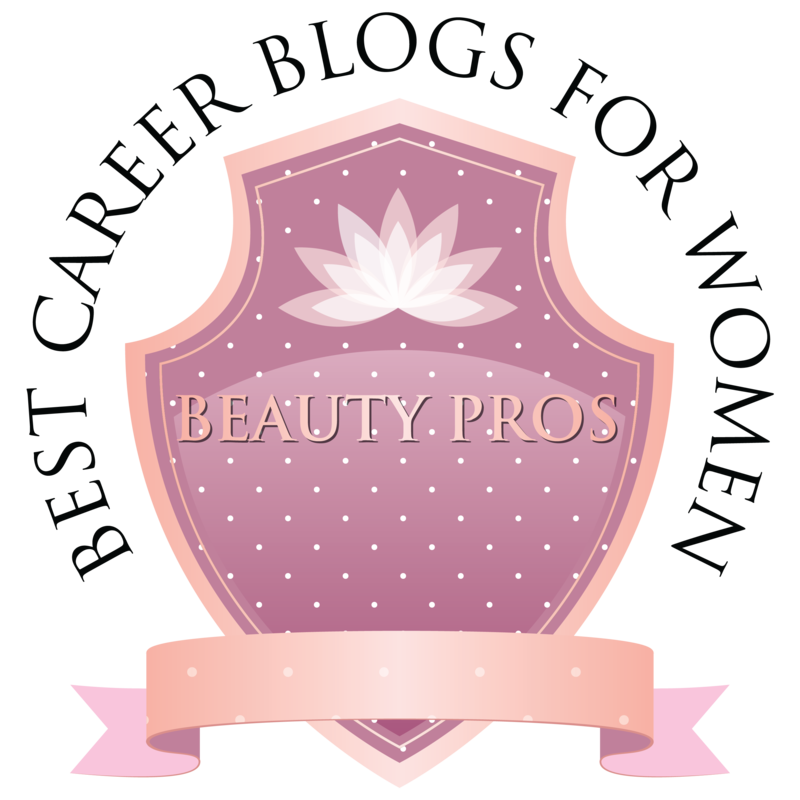 Need help with your career goals, directions, or efforts? Do you need coaching or instruction? I am here for it!Also, join our Linkedin community! 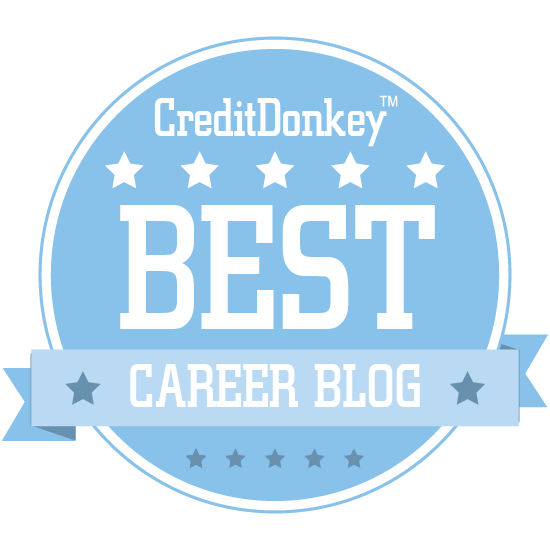 You’ll enjoy some of the insights shared by community members and other career pros! 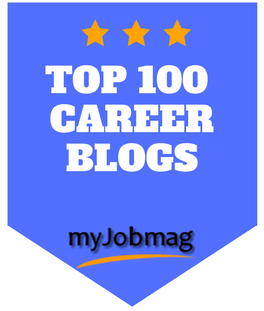 For the first time in 1 1/2 years, I am opening to career professionals to write guest articles. If you’re interested, you can go here for further topics and directions to submit. Be BRAVE! Don’t Let People Should on Your Career! 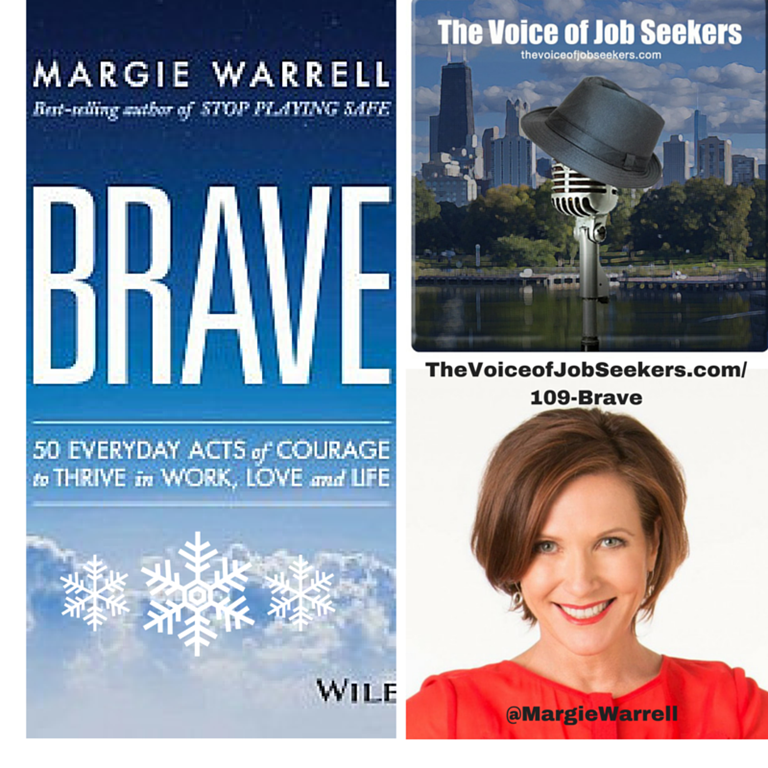 Margie Warrell is an international thought leader in human potential who is passionate about empowering people to take braver risks and lead more purpose driven lives. She has been featured in leading media outlets such as The Today Show, FOX News, CNBC, Psychology Today and Wall Street Journal. She is also a regular contributor on Australia’s ABC News Breakfast and Sunrise. Have you subscribed to this show on iTunes? If you haven’t, please do so. iTunes is a great place to write an honest review to pique the interests of others lurking. Enjoy listening to the show. Next week show is the last show for 2015, and is a special Christmas show I am looking forward to sharing with you! After that, January 12 is a special new show on salary and negotiation for women. All are invited to join me for that special episode!